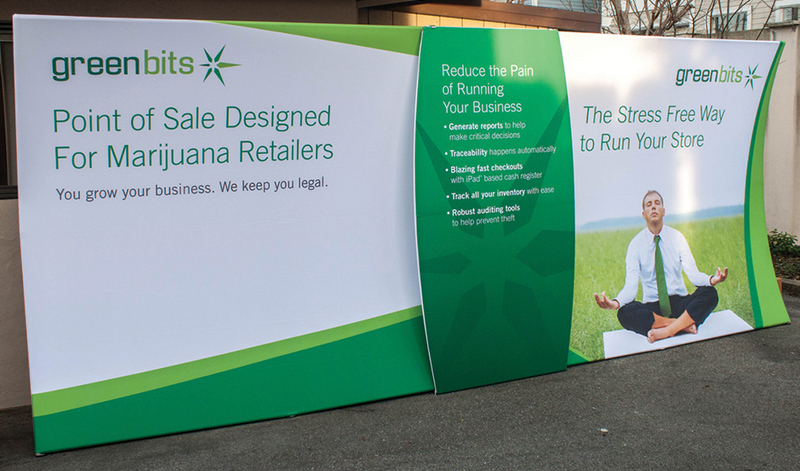 Green Bits Trade Show Booth | FineLine Graphics & Design, Inc.
At the start of the New Year, Green Bits decided to up its game and attend one of the largest canna-business events, CannaCon. 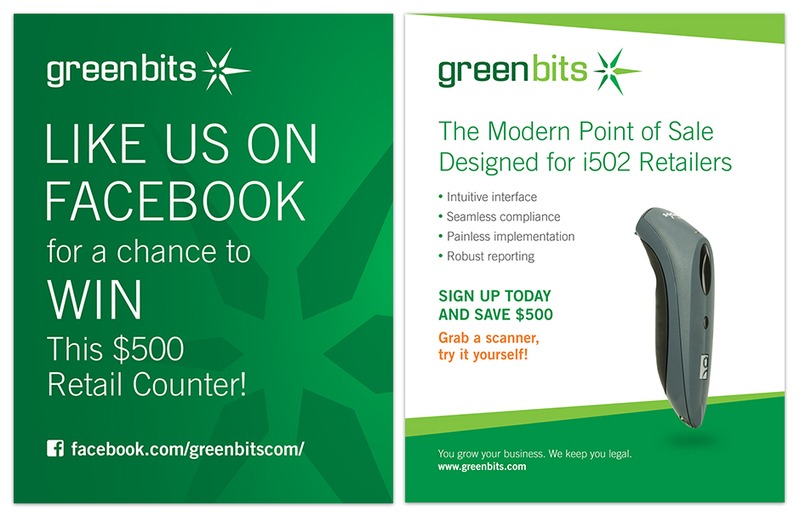 In addition to deciding to attend CannaCon, Green Bits acquired a larger booth space with a footprint of 10×20 feet. With a larger space Green Bits was in need of a larger booth property. Our solution for their immediate need was a lightweight modular fabric booth. Having a modular booth offered the flexibility for Green Bits to break the booth into two 10×10 foot booths for future smaller shows. An additional advantage of the fabric booth is its easy assembly. Two people can set up the entire booth effortlessly. 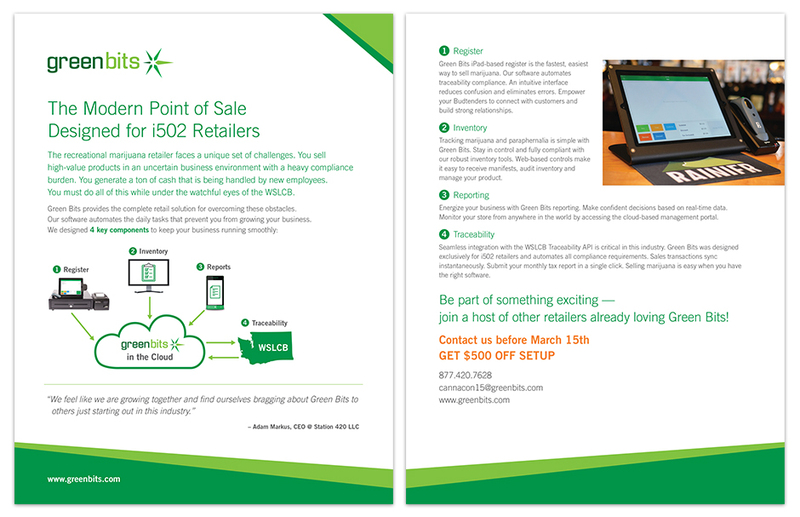 Along with the booth property and design, we created a two sided brochure and tabletop signage for the event.